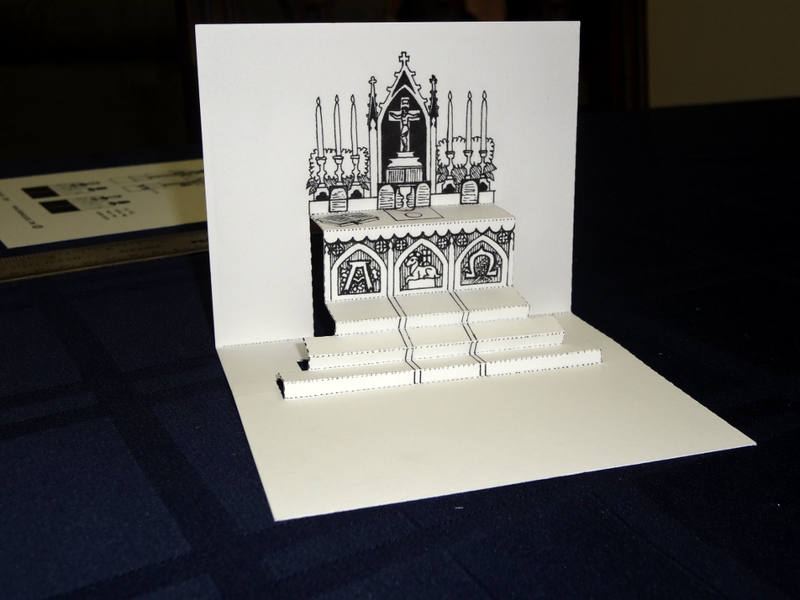 Here is a craft you can make, maybe as an Easter present or as a way to teach kids about the Mass. 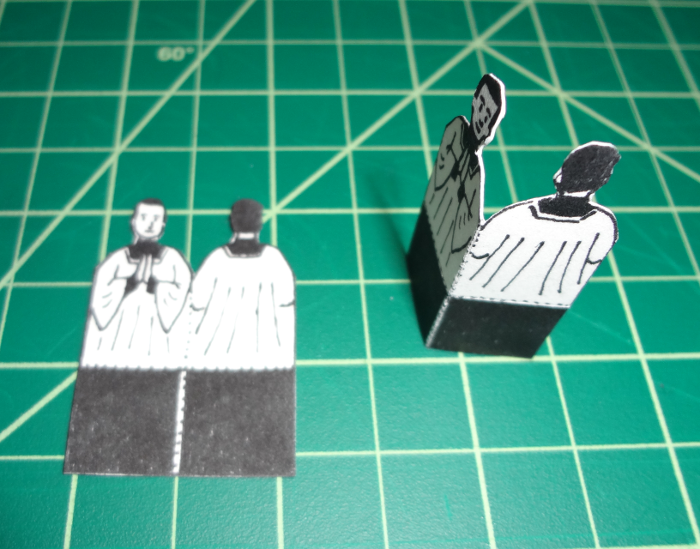 It folds out into a tiny high altar with a little priest and altar boys. This started out as a gift idea for my children, but I decided to make it in a format that could be reproduced and write instructions for how to construct it. 1. Download PDF file and print out. 2. 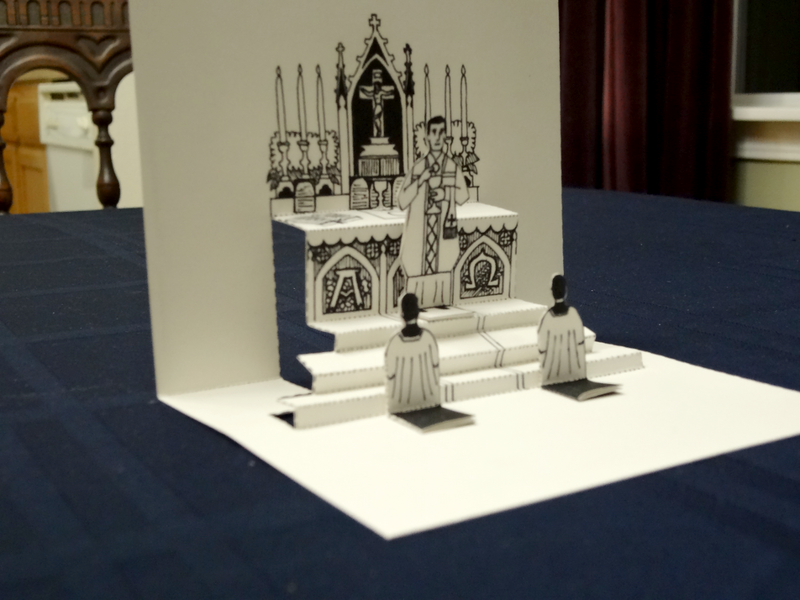 Separate pop-up card side from priest side. 3. 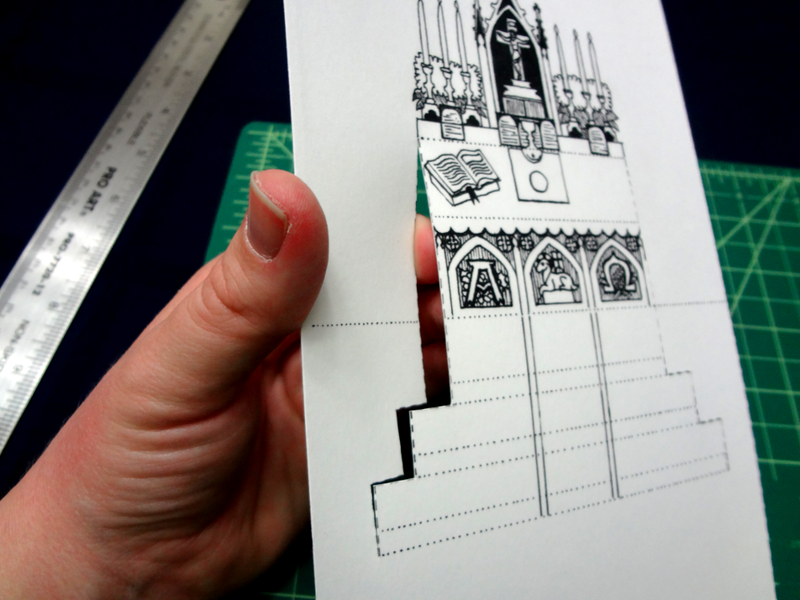 Cut sides of altar and stairs along dashed line. Start below top dotted line. 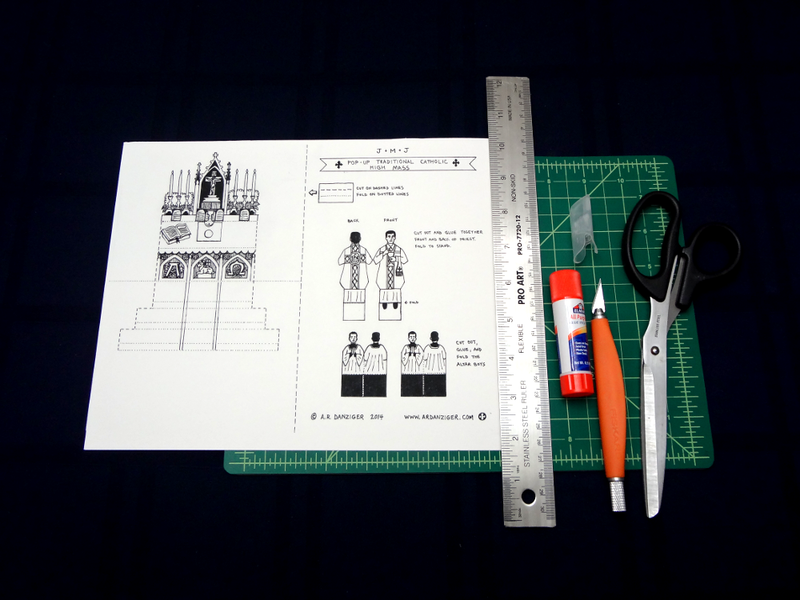 If you are using scissors, fold the card in half and snip a slot for the scissors to get started. 4. 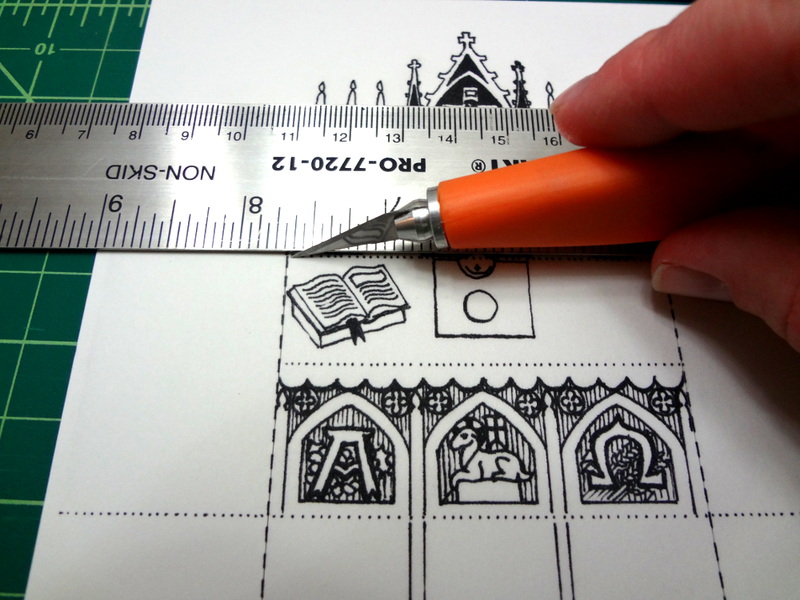 Score along dotted lines to make folding easier. 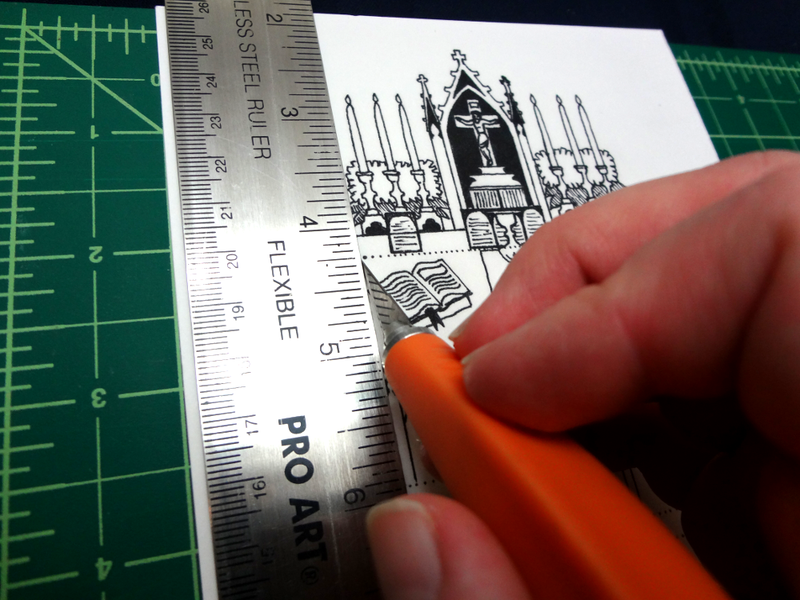 Use dull side of x-acto blade or a single scissors blade. Make alternating folds like an accordion. 5. 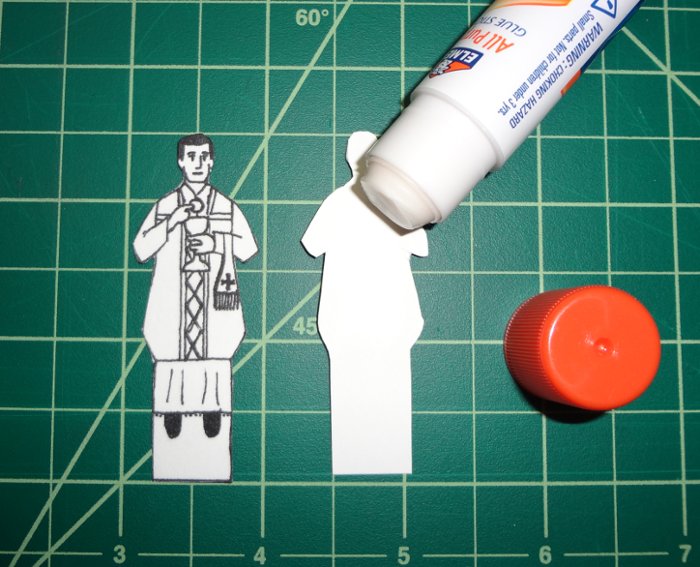 Cut out priest, glue front and back sides together. Fold tab on bottom so he can stand on feet. 6. 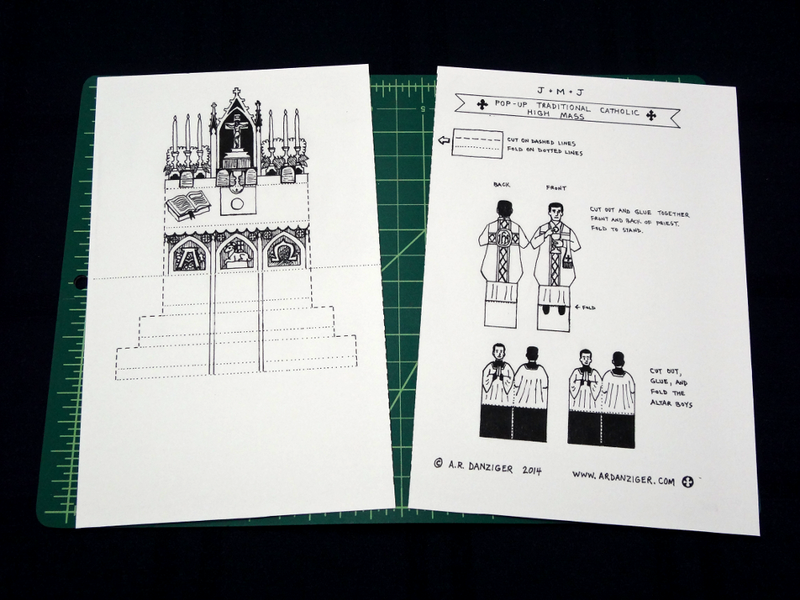 Cut out each altar boy and fold front and back sides together. Fold backwards in the middle so they can kneel. "Ecce Agnus Dei, ecce qui tollit peccata mundi." 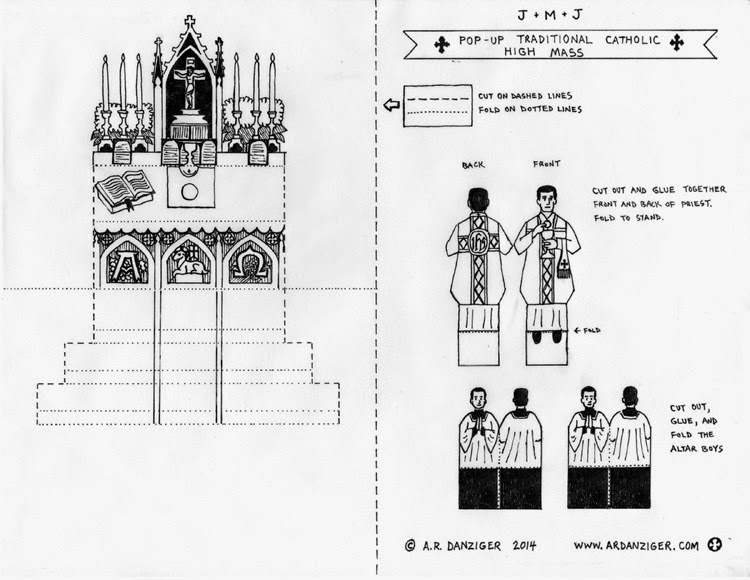 If you're feeling really ambitious, color it, decorate the walls and floor, draw and cut out more figures and accessories (thurible, processional cross, etc), fold up front edge and make an altar rail. "Corpus Domini nostri Jesu Christi custodiat animam tuam in vitam aeternam. Amen." If you use this, please feel free to leave a comment and tell me how your family liked it or what could be better for next time. If you send in a photo of the finished product in use, I might write a future post featuring the photos I receive (ardanziger@gmail.com). Also, please share this with your friends! Happy Easter! You're welcome, Christine. You have a wonderful website! This is beautiful! I'm looking forward to creating it with my children. Thank you! This looks great! I know my son will love it. Thanks, and God bless! This is so awesome!!! 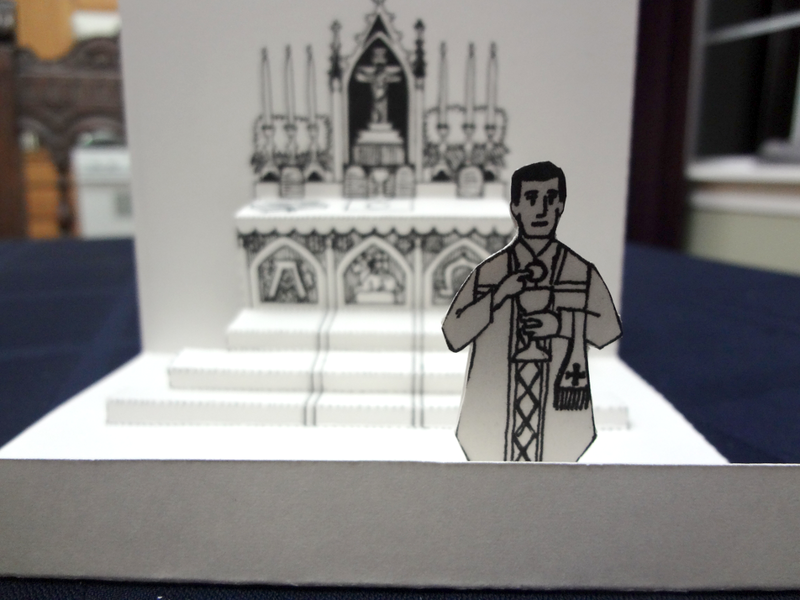 We're going to use this in a Father's Day card for a very dear priest friend of ours! Thank you for sharing!